The company is committed to finding improved solutions to reduce, reuse and recycle. Nestlé has announced its commitment to make 100 percent of its packaging recyclable or reusable by 2025. The company believes that there is an urgent need to minimize the impact of packaging on the environment, and it’s dedicated to doing its part to reduce packaging waste. "Plastic waste is one of the biggest sustainability issues the world is facing today,” said Nestlé CEO Mark Schneider in a statement. “Tackling it requires a collective approach. We are committed to finding improved solutions to reduce, reuse and recycle. Our ambition is to achieve 100 percent recyclable or reusable packaging by 2025." To reach its goal, the company will focus on three core areas: eliminating non-recyclable plastics, encouraging the use of plastics that allow better recycling rates and eliminating or changing the complex combinations of packaging materials. 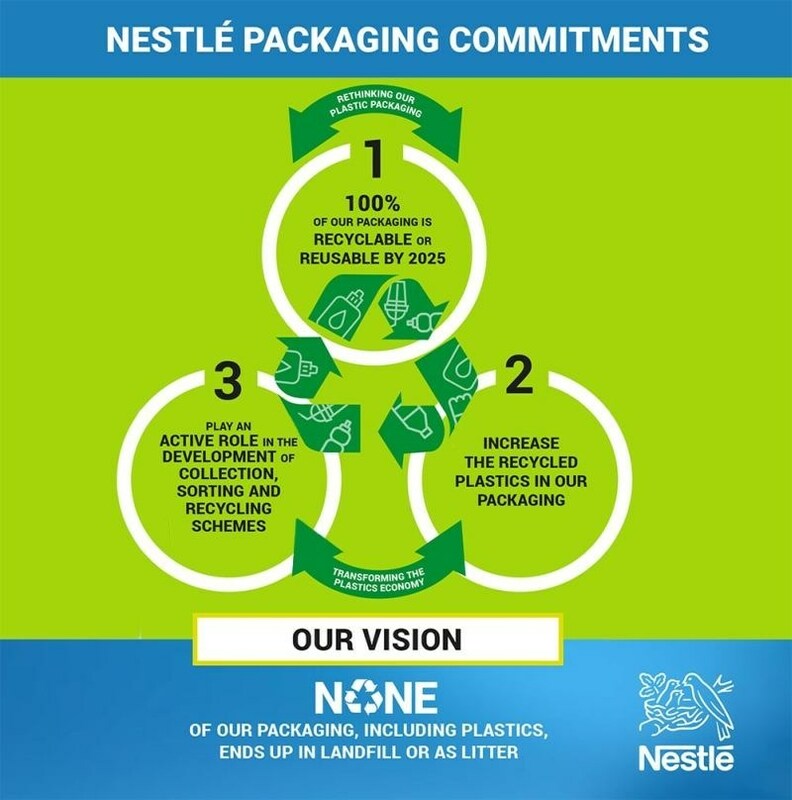 Nestlé will also continue to play an active role in the development of well-functioning collection, sorting and recycling schemes across the countries where it operates, work with value chain partners and industry associations to explore different packaging solutions to reduce plastic usage, facilitate recycling and develop new approaches to eliminate plastic waste, label its plastic product packaging with recycling information to help consumers dispose of it in the right way and promote a market for recycled plastics by continuing to increase the proportion of recycled plastics in its packaging.